It’s the most wonderful time of the year as Ice Skating by the Bay returns to Custom House Plaza. Skate around the outdoor seasonal ice rink complete with ocean views. Monday-Saturday from 11am-10pm and Sunday from 12pm-8pm. 4 Custom House Plaza, Monterey. $13 for adults and $11 for children, skate rentals $3. Old Fisherman&apos;s Wharf invites you for some festive cheer with special holiday entertainment, sweet treats, free Santa “meet and greet” visits, holiday princesses and much more! “Christmas on the Wharf” occurs on Friday evenings from 5pm-9pm, Saturdays from 11am-9pm and Sundays from 1pm-6pm. 1 Old Fisherman’s Wharf, Monterey. Free event. Step into the Nativity story, as 200 re-enactors, along with live animals and musical groups, recreate the story of the birth of Jesus Christ. Volunteers from the First Baptist Church of Salinas recreate the entire town of Bethlehem to provide visitors with a truly immersive experience. Wednesday through Saturday from 6pm-8:30pm. 130 San Vincente Avenue, Salinas. Free event. Step back into Monterey&apos;s past during Christmas in the Adobes. 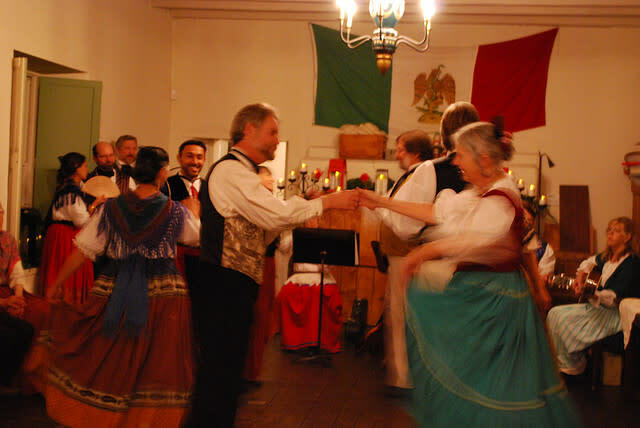 See the adobes by candlelight and enjoy refreshments and live performances as volunteers in period attire welcome you into historic homes decorated in historical style. The twenty 19th-century adobes, lit by luminaries and enhanced with period decorations, are within an easy walk of each other. Friday and Saturday from 5pm-9pm. 20 Custom House Plaza, Monterey. Tickets are $25 for adults, $2 for children ages 6-17 (must be accompanied by a paying adult), and free for children ages 5 and under. Join the celebration as Dance Kids of Monterey County present its 25th anniversary of The Nutcracker featuring the live Monterey Pops! Orchestra at the Sunset Center. Friday and Saturday at 7pm and Sunday at 2pm. San Carlos Street at Ninth Avenue, Carmel-by-the-Sea. Tickets are $49 for adults and $35-$45 for children. Back by popular demand at the Golden Bough Theatre is Mamma Mia! The smash musical hit returns with iconic ABBA songs and an adorable love story. Thursday-Saturday at 7:30pm and Sunday at 2pm. Monte Verde between 8th and 9th, Carmel-by-the-Sea. $8-$25. Carmel-by-the-Sea lights up the night with a special tree lighting ceremony at Devendorf Park. The tree lighting ceremony begins at 3pm in Devendorf Park with plenty of entertainment, refreshments and a visit from Santa Claus! After the tree is lit at 5:45pm stop by Carmel Plaza for their annual open house with live entertainment and refreshments. 3pm-7pm. Ocean Avenue and Junipero, Carmel-by-the-Sea. Free event. Celebrate the Christmas season in the City of Seaside! The annual Winter Wonderland Celebration and Tree Lighting Ceremony features ice skating, interactive crafts, hay rides, a petting zoo and a special visit from Santa. 6pm-9pm. 440 Harcourt Avenue, Seaside. Free event. Prepare to be amazed by the incredible talents of Jake Shimabukuro with his trusty ukulele at the Golden State Theatre. Along with his own original compositions, Shimabukuro is noted for his solo arrangements of such varied pieces as Queen’s “Bohemian Rhapsody,” Schubert’s “Ave Maria” and Leonard Cohen’s “Hallelujah.” 8pm-9:30pm. 417 Alvarado St, Monterey. $33-$63. Pacific Grove Chamber of Commerce and the Arthritis Foundation introduce a festive Jingle Bell 5K race (run or walk) at Lovers Point Park. Have fun with Santa, tie jingle bells to your shoes, and help raise funds to support the foundation. 8am. 17th Street and Ocean View Blvd., Pacific Grove. Free for spectators. 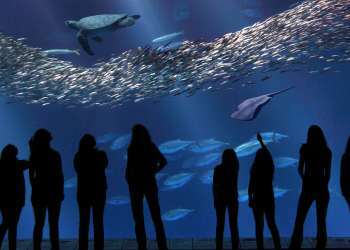 Reflect on the past year and enjoy “A Year in Review” writing and meditation retreat with the Monterey Bay Mediation Studio. 10am-4pm. 529 Central Avenue, Pacific Grove. $95. Santa and Mrs. Claus fly-in by helicopter direct from the North Pole to Carmel Valley Village Airfield! There they&apos;ll board their sleigh and lead a parade through Carmel Valley Village. The parade is filled with horses, the Carmel Valley Kiwanis Club train, unique autos and more! 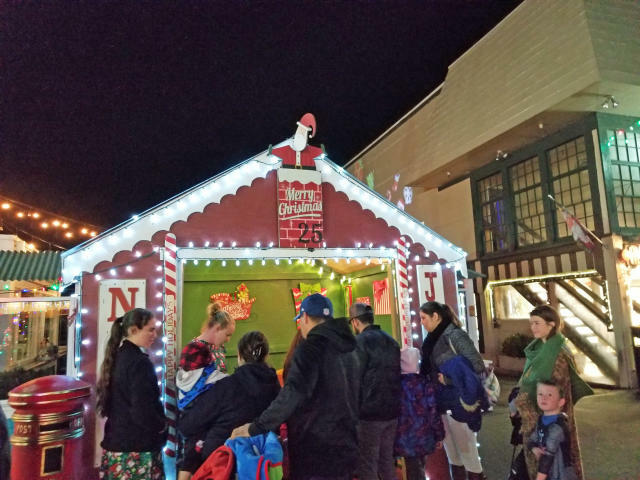 Afterward, kids can head to the Carmel Valley Youth Center for a photo with jolly Old Saint Nick. 10:30am-12pm. Carmel Valley Village Airfield, Carmel Valley. Free event. Bring your little ones to the Hofsas House today for a Gingerbread Making Fundraiser. Children will receive one gingerbread making kit, hot cider, and a cookie with donations benefiting the Carmel Public Library Foundation. 10:30am-3pm. San Carlos between 3rd & 4th Avenue, Carmel-by-the-Sea. $25 per gingerbread house. 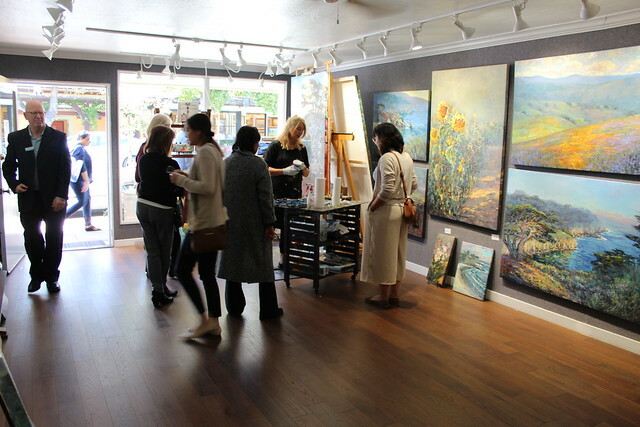 It’s the second Saturday of the month which means it’s time for the Carmel Art Walk! Visit artist owned galleries and studios and meet the local artists who carry on the Carmel art colony legacy. Click here for a map of participating venues. 5pm-8pm. Downtown Carmel-by-the-Sea. Free event. Taste Morgan is taking the stress out of holiday shopping every Saturday this holiday season. 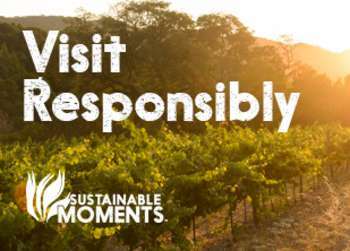 Here you can try tasty wines and shop local artisan goods to check off your holiday shopping list. 2pm-4pm. 204 Crossroads Boulevard, Carmel. Free event. Tonight the son of Frank Zappa, Dweezil Zappa takes the stage at the Golden State Theatre. 8pm-9:30pm. 417 Alvarado St, Monterey. $43-$73. Don’t miss your chance to see an incredible (and free) holiday concert featuring the spectacular resonance of over 50 tubas during TubaChristmas! Your holiday spirit will vibrate with delight during this toe-tapping, finger-snapping, and soul-stirring sing-along concert of your favorite holiday carols at the Monterey Conference Center. 1pm-2pm. 1 Portola Plaza, Monterey. Free event. Several quaint inns and B&Bs in Carmel-by-the-Sea open their doors this afternoon for the Inns of Distinction tour. Stroll the streets of Carmel and visit charming inns while sampling tastings from some of the area&apos;s finest restaurants and wine tasting rooms. 2pm-5pm. Various venues in Carmel-by-the-Sea. $40.